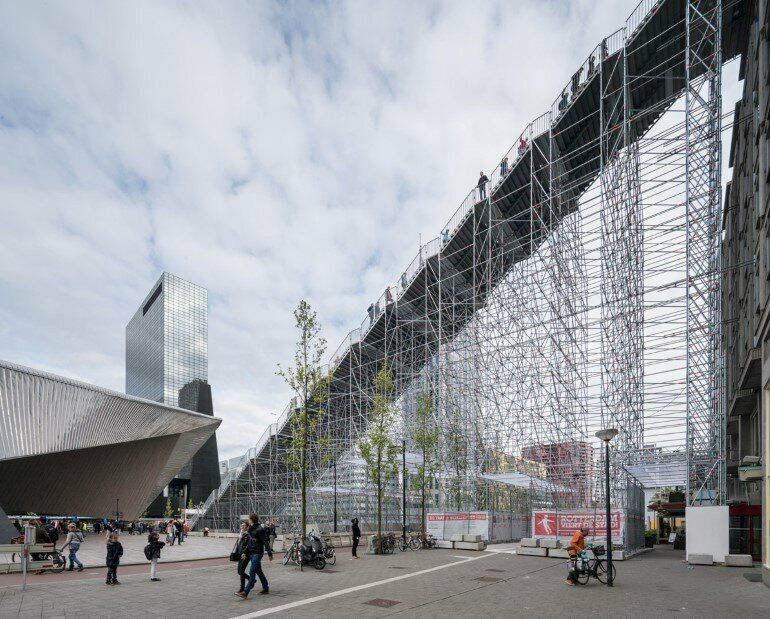 MVRDV have designed a temporary scaffolding structure, The Stairs to Kriterion in Rotterdam. 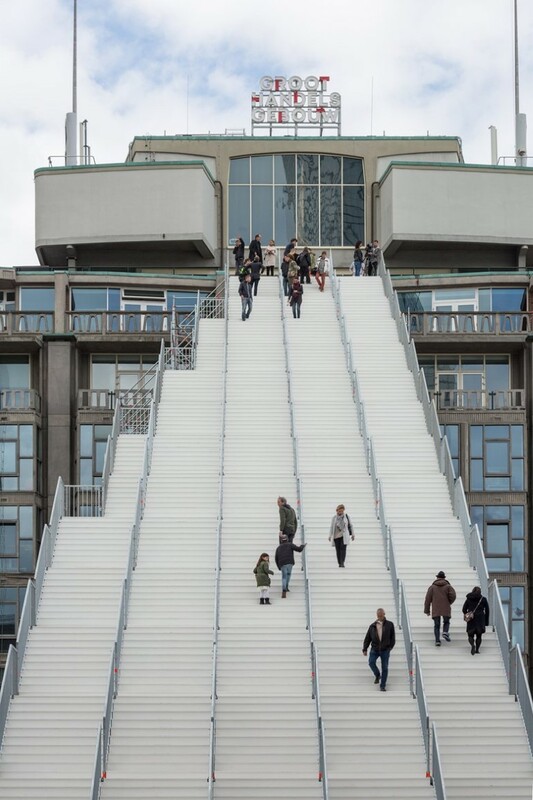 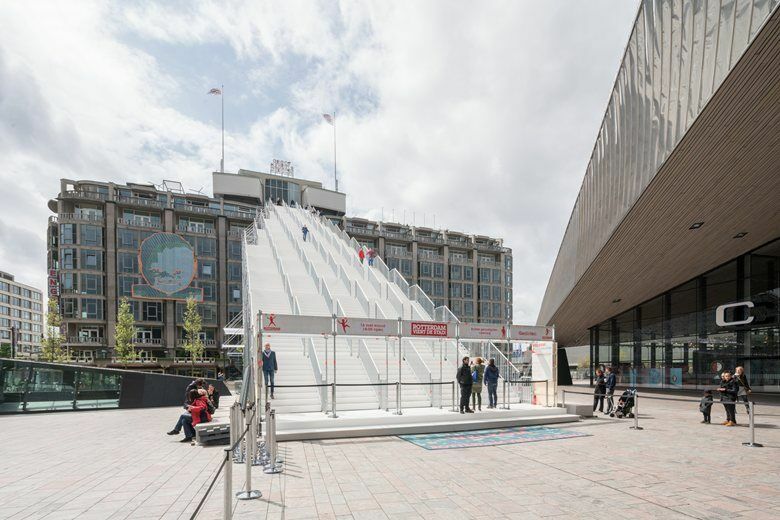 The arrival of The Stairs, a month long temporary installation celebrating 75 years of reconstruction in Rotterdam, follows the city’s tradition of celebrating reconstruction. 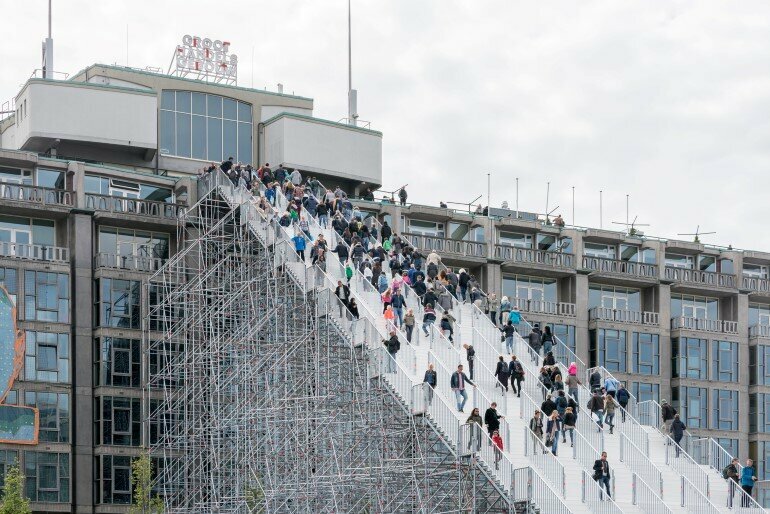 The scaffolding structure, assembled by Dutch Steigers, will take visitors 29 metres up to the roof top of the Groot Handelsgebouw until the 12th June 2016. 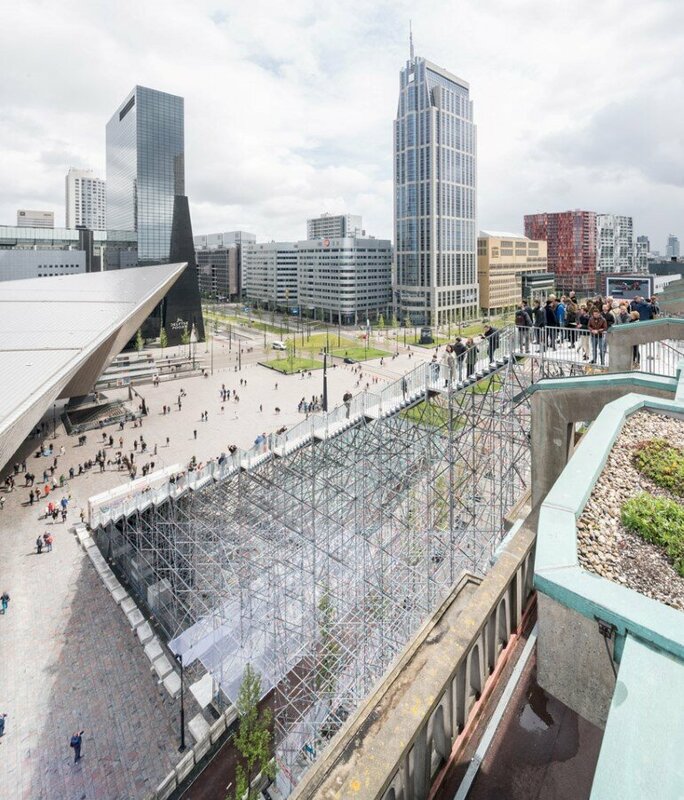 A viewing platform offers stunning views of the city’s skyline whilst the iconic Kriterion Cinema, once popular in the 1960s, will reopen for this month only to host a variety of films, debates and performances. 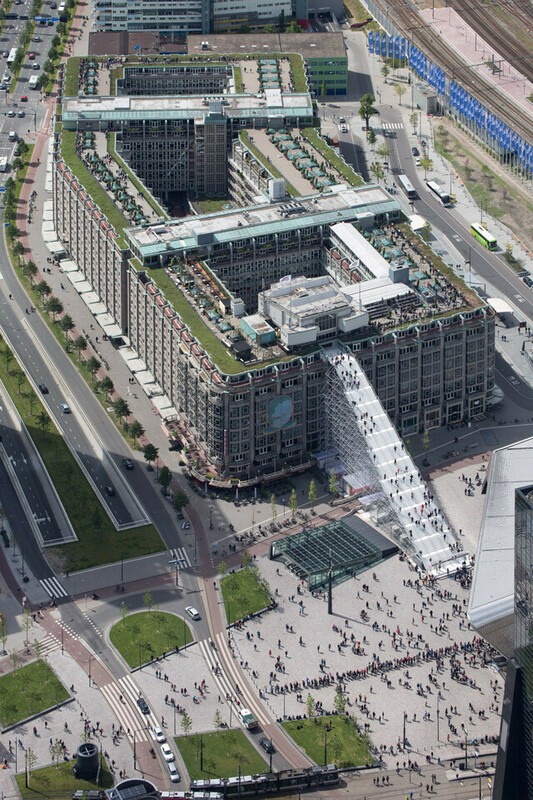 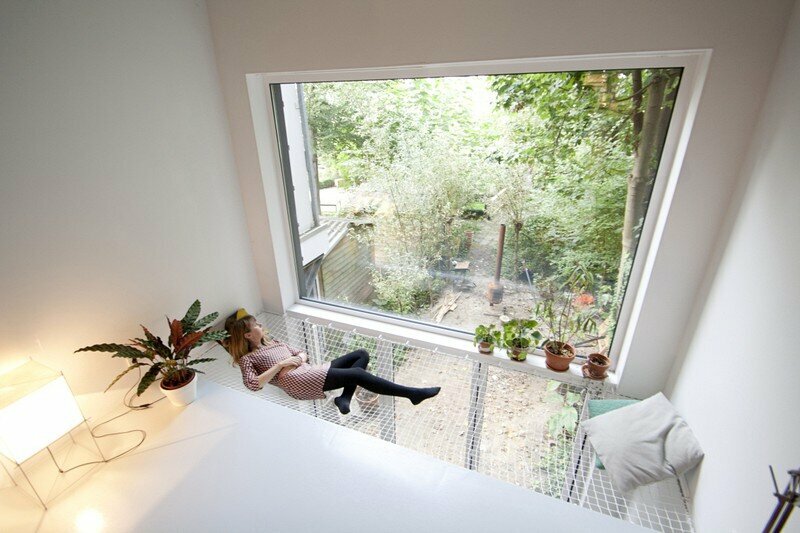 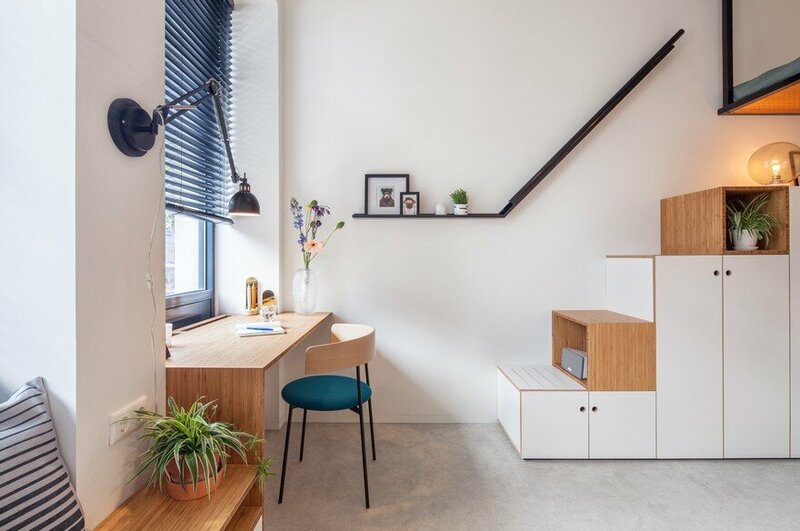 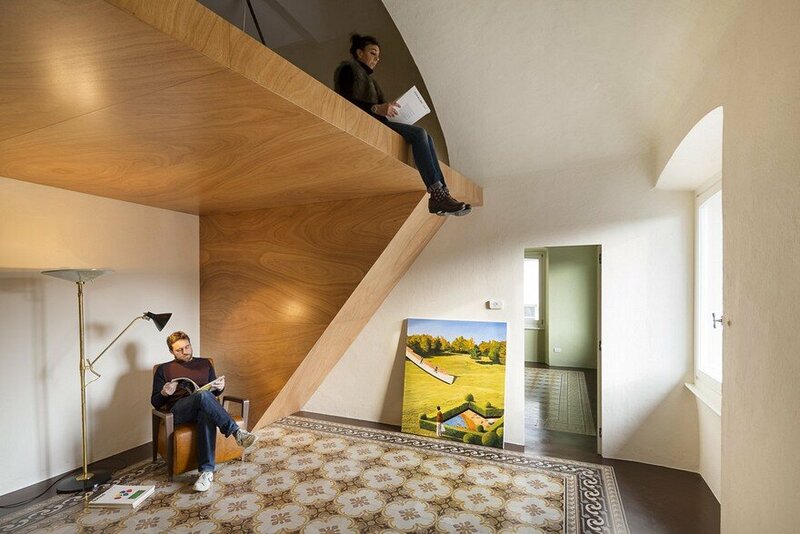 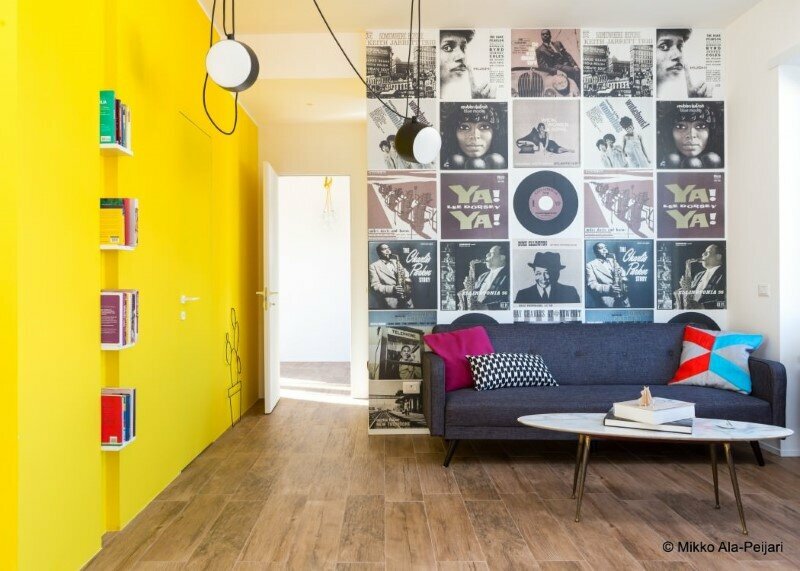 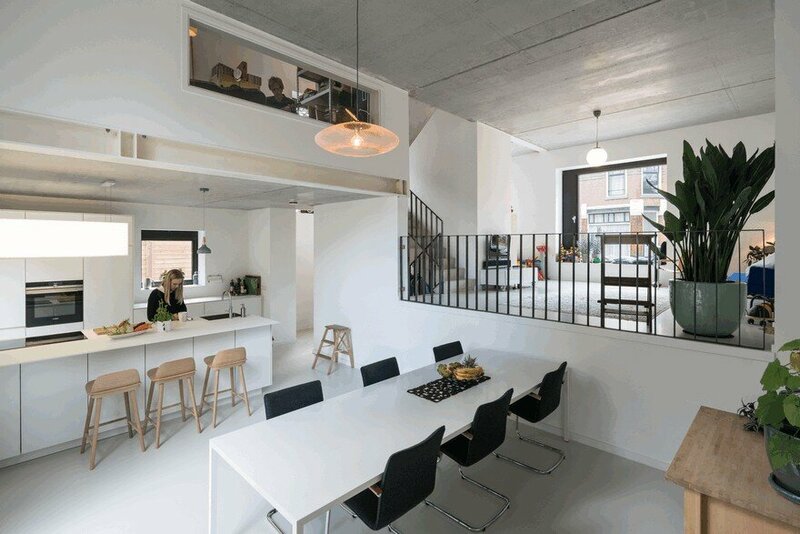 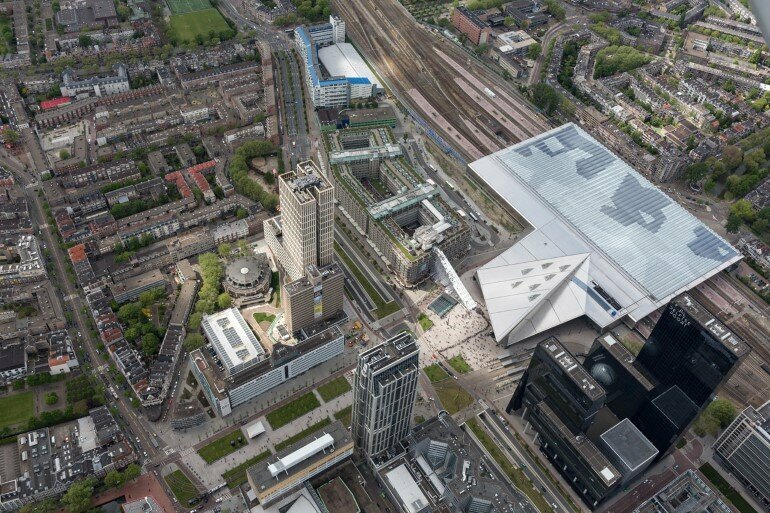 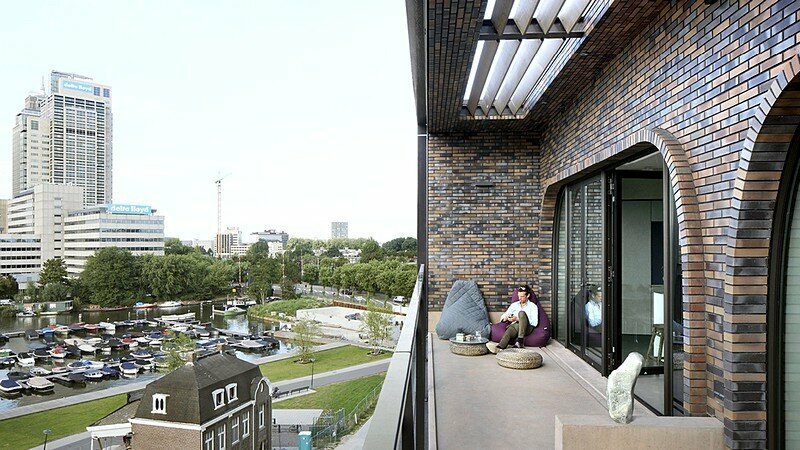 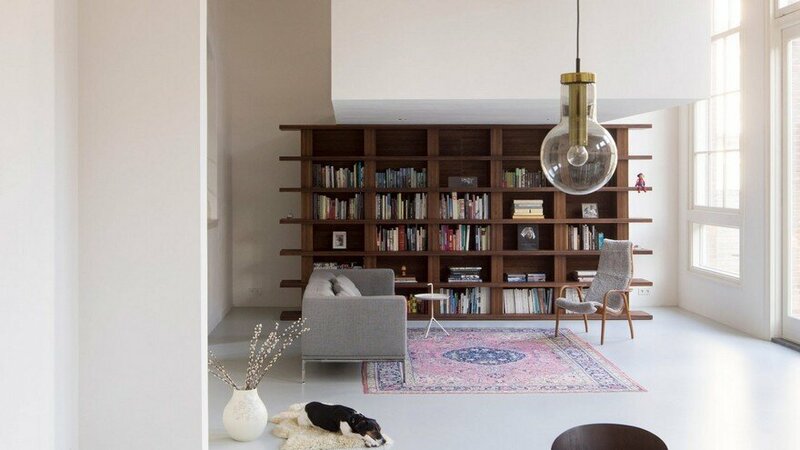 For the construction of the project MVRDV worked closely with Dutch Steigers and Adviesbureau Dekker Engineering. 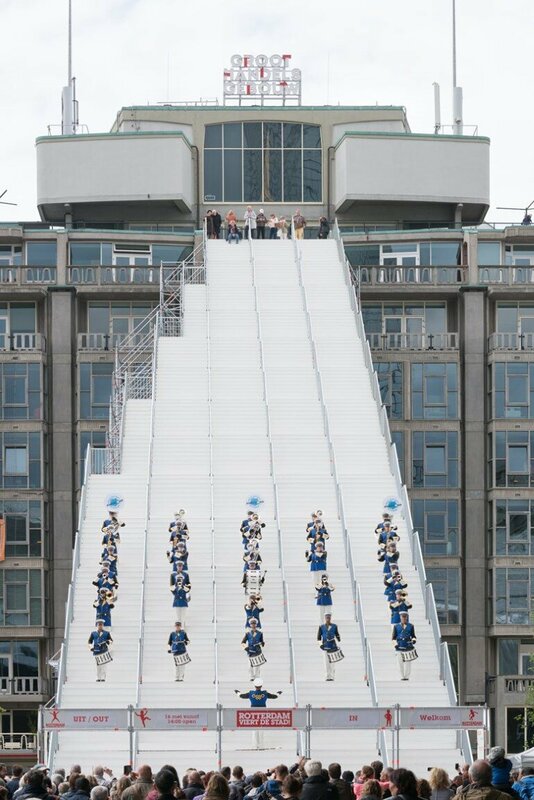 Coordination of events for the installation itself was done in partnership with Rotterdam Celebrates the City!.